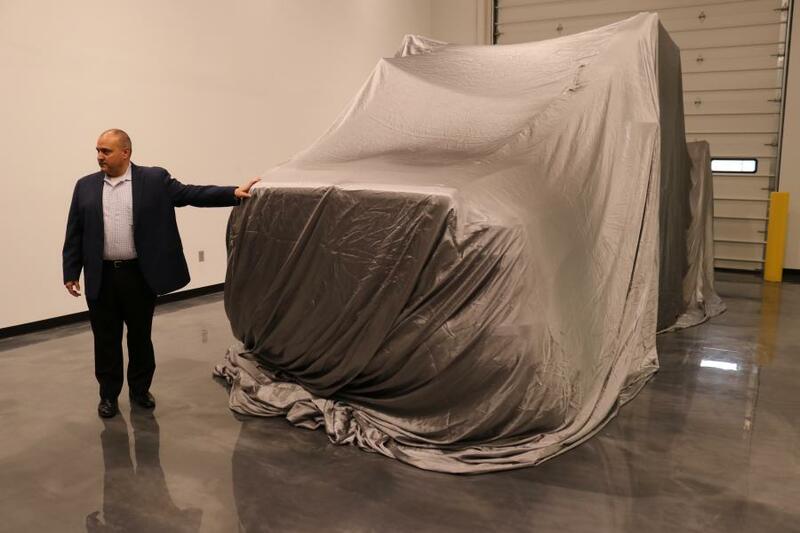 The delivery is the first of a number of vehicles that Team Fishel will receive after making the largest single retail purchase to date for the CV Series. 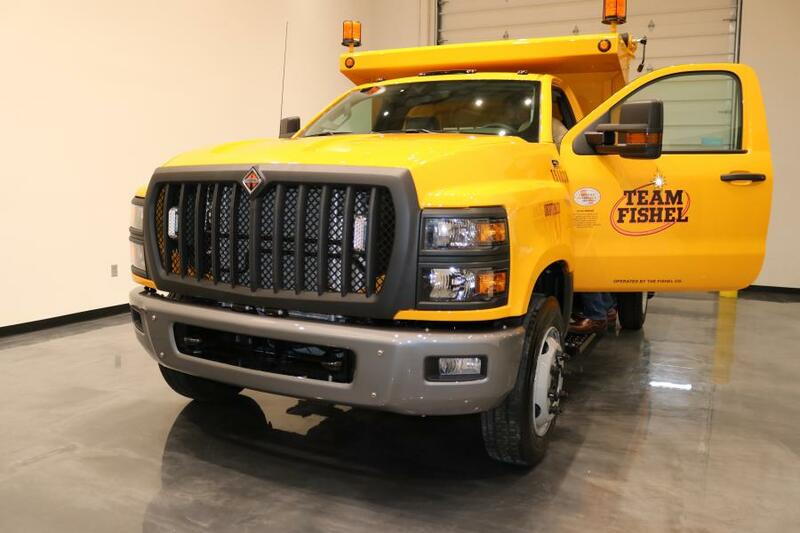 International Truck celebrated the first customer delivery of the International CV Series to Team Fishel, a provider of utility engineering, construction and network installation services. 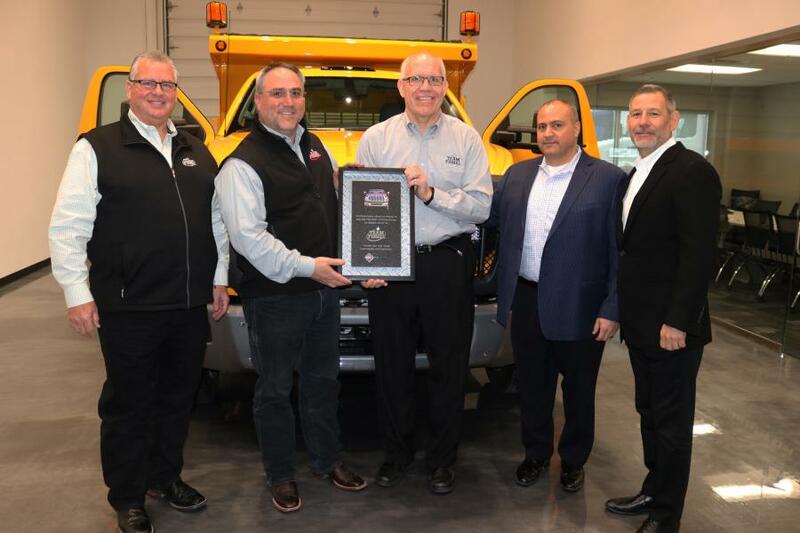 Hosted at a brand-new Rush Enterprises-owned Custom Vehicle Solutions facility in Denton, Texas, the event brought executives from Navistar Inc., Rush Truck Centers, Team Fishel and Godwin Manufacturing, who bodied the truck, together to celebrate the occasion. The event was highlighted by Dennis Huffmon, senior vice president of U.S. Sales at Navistar, handing over the keys to John Phillips, president and CEO of Team Fishel. "We're proud to present the first CV Series production unit to Team Fishel," said Huffmon. "I'd also like to acknowledge the outstanding customer support from Rush Truck Centers, whose commercial truck expertise represents a competitive advantage experienced across our entire International Truck dealer network." "Customers have told us in no uncertain terms this market is ready for a different choice," Huffmon continued. "These customers want more than a truck, they want a true business partner. With unmatched commercial expertise, partners such as Rush Truck Centers, and a dealer service network that specializes in diesel power, International Truck is a welcomed alternative to customers seeking more." The delivery is the first of a number of vehicles that Team Fishel will receive after making the largest single retail purchase to date for the CV Series. As a company with more than 30 offices in 13 states, more than 2,300 employees and over 1,600 trucks ranging from class 4 to 8, Team Fishel saw the CV Series as the perfect fit for its needs. "We have customers across the United States who count on us to get the job done every single day, and it's extremely important that our vehicles are up to that challenge," said Phillips. "I have no doubt that the CV Series will rise to the occasion; bringing with it the power, safety and drivability that gives us the very best tool to provide for our customers." Since its launch in November, the CV Series has disrupted the Class 4/5 markets. As the only truck within the class designed, distributed and supported by a manufacturer specializing in commercial vehicles, the CV Series brings with it the same toughness built into International's larger trucks. Consistent with this commercial grade toughness, the CV Series is able to accommodate a wide range of specialized body types with an emphasis on ease of upfit. "We are proud to support Navistar with the launch of the CV series chassis and to perform installations at our new, state-of-the-art Custom Vehicle Solutions facility," said Chris Simpson, regional general manager, Custom Vehicle Solutions and Perfection Truck Parts & Equipment. "This is another way we provide superior solutions to our customers across the country." With the CV Series, customers also can utilize International Truck's dealer network — more than 700 service locations and over 7,600 ASE-certified commercial diesel-train technicians. They also are backed by a commercial-grade parts network where 90 percent of parts are available through either dealer inventory or International's network of parts distribution centers. Team Fishel was founded in 1936 and is headquartered in Columbus, Ohio. A 3rd generation, family-owned business, Team Fishel is a utility engineering, construction and network installation contractor serving the broadband communications, electric power, natural gas and low voltage technology industries.